Four generations. See note below. Photo courtesy of Mr N Collins. 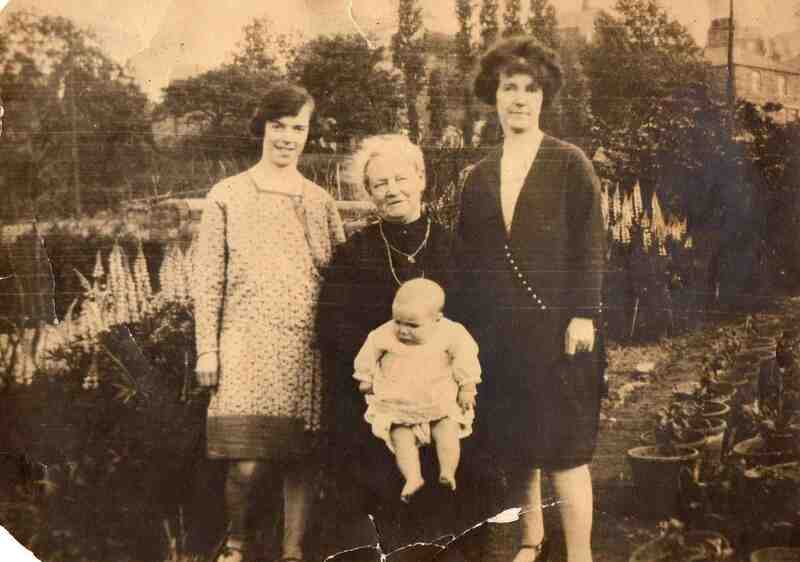 Baby is Neil Collins on Grandma Bayliss’ knee (his great-grandmother), standing on the left is Mrs Dorothy Collins (nee Watts – his mother) and on the right is Mrs Ethel Watts (his grandmother).